These are a few images I’ve made around the Herrington Harbour Marina area. 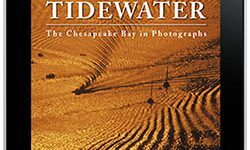 Workboats, sailboats, powerboats…they are all gorgeous and possible inclusions in the new edition of “Tidewater: the Chesapeake Bay in Photographs”. “Witchcraft”, a 1902 wooden sailing vessel berthed for the night at Herrington Harbour Marina. It’s a work of art and history. There is a video on the yacht’s website which shows you how little room you get in a 52 foot wooden yacht! The wooden rocking chair on the stern is just the perfect touch!